Here’s how Today’s Q106 listeners responded when I played it today…. 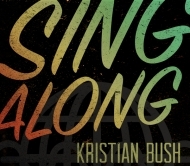 Check out more from Kristian Bush here. Hear a new song each weekday at 1:20pm with Fletcher Keyes, and tell him whether or not you would add it to your own, personal, New Music Playlist.